This page includes lighthouses of two small territories, one of France and one of the Netherlands, located in the Leeward Islands at the northeastern corner of the Caribbean Sea. Saint Martin is unique among Caribbean islands in having been divided between two colonial powers. Since 1648 France has occupied the northern portion of the island (roughly 3/5 of the whole), known as Saint-Martin, while the Netherlands has occupied the southern portion, known as Sint Maarten. Marigot is the capital and largest town of French St.-Martin, and Philipsburg is the capital and largest town of Sint Maarten. The two French territories of St.-Martin and St.-Barthélemy were formerly governed as dependencies of the larger island of Guadeloupe but since 2007 they have reported separately to Paris as collectivités of France. 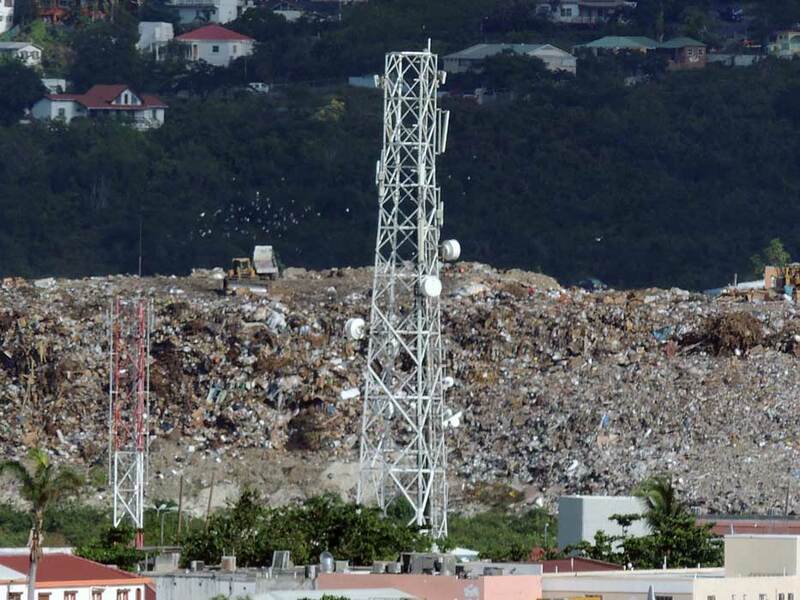 The Dutch territory of Sint Maarten was attached administratively to the Netherlands Antilles for many years but in October 2010 it became a separate state, a "constituent country" of the Kingdom of the Netherlands. Saint Martin was heavily damaged by Hurricane Irma in September 2017. 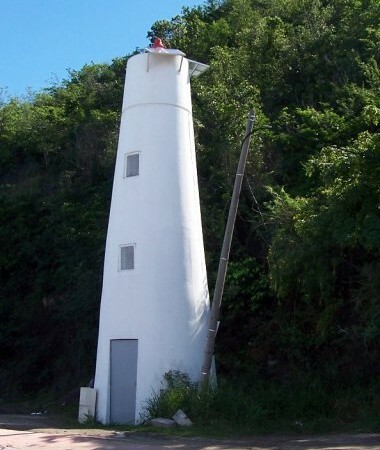 Most of the lighthouses of the Lesser Antilles are very poorly known, so information about them would be welcome, and photos are especially welcome. Navigational chart information for Saint Martin. Date unknown. Active; focal plane 20 m (66 ft); flash every 4 s, white, green or red depending on direction. 10 m (33 ft) round conical tower painted white. No lantern. Rosalie Beasley's photo is at right, Roger Theriault has a photo, another closeup photo is available, Trabas has a view by Arno Siering, and Bing has a satellite view. Located across the road from the base of the breakwater mole of the harbor of Marigot, the principal town of the French portion of the island of Saint-Martin, on the northwestern coast of the island. Site open, tower closed. ARLHS STM-001; Admiralty J5658; NGA 14732. Date unknown (station established 1876). Inactive since 2007 at least. The light was formerly on a post mounted on a short square tower atop the ruins of Fort Amsterdam. A February 2008 photo shows it removed, Nathan Barnes has a street view, and Google has a satellite view. Findlay's 1879 light list describes a "small light on old Fort Amsterdam." 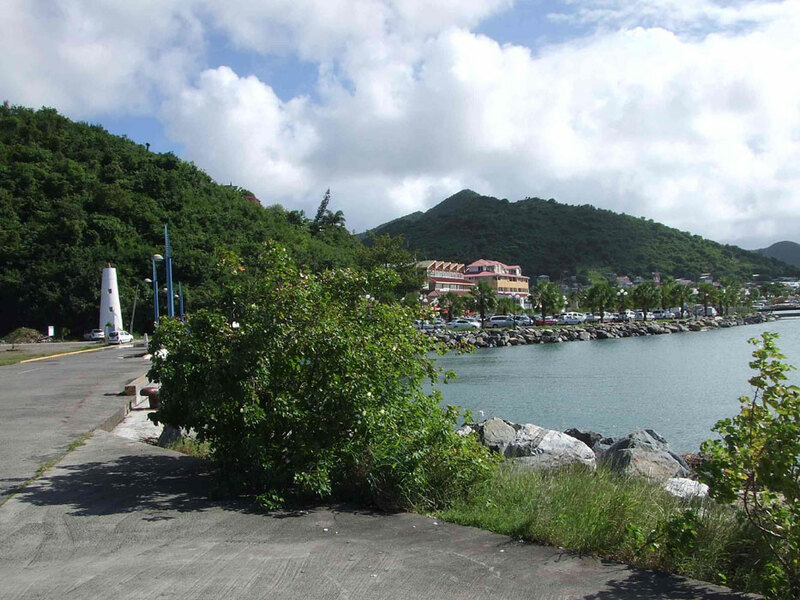 Located atop a narrow promontory on the west side of the entrance to Philipsburg harbor. Site open. ex-Admiralty J5660; ex-NGA 14724. Date unknown. 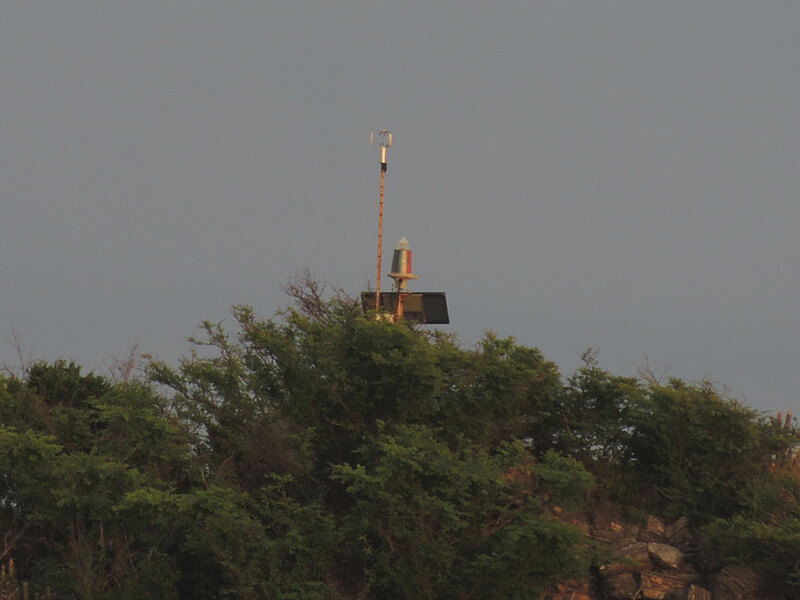 Active; focal plane about 30 m (98 ft); flashing white light visible only along the line of approach to the harbor. Approx. 27 m (90 ft) square skeletal communications tower. Trabas has Rainer Arndt's photo, another photo is available, and Bing has an indistinct satellite view. Located behind the Central Bank of Curaçao building in downtown Philipsburg. Site open, tower closed. Admiralty J5661.5. Date unknown. Active; focal plane unknown but at least 60 m (197 ft); four flashes every 10 s, white, red or green depending on direction. No description available but Trabas has Rainer Arndt's photo showing the light on a post atop the structure. Located atop the headland on the east side of the entrance to Philipsburg harbor. Site status unknown. Admiralty J5662. Posted December 8, 2005. Checked and revised January 8, 2019. Lighthouses: 2. Site copyright 2019 Russ Rowlett and the University of North Carolina at Chapel Hill.